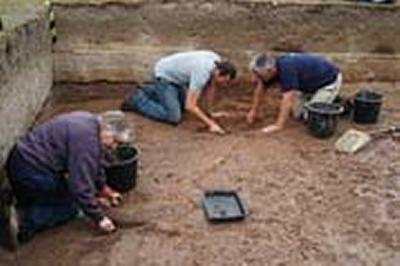 Archaeologists in Southampton and Liverpool are investigating three island groups around Britain to help understand why people changed from a lifestyle of hunting and gathering to farming the land. Academics from the Universities of Southampton and Liverpool are hoping to shed new light on the longstanding debate about whether this change around 4,000BC was due to colonists moving into Britain or if the indigenous population of Britain gradually adopted the new agricultural lifestyle themselves. The archaeologists will be excavating three island groups in the western seaways – the Channel Islands, the Isles of Scilly and the Outer Hebrides - to understand what sailing across this area would have been like in 4,000BC. The project, funded by the Arts and Humanities Research Council (AHRC), will build on work at Southampton into how environments and the sea changed over the Neolithic period. Dr Fraser Sturt, from the Centre for Maritime Archaeology at the University of Southampton, says: “How people changed from hunter-gatherers to agricultural lifestyles is one of the big questions in archaeology. “We know that the first signs of domestication occurred in the Middle East around 10,000BC and reached France by 5,000BC. However, it appears to be another 1,000 years before Neolithic farming activities reached Britain. Recent archaeological findings, such as French pottery in Scotland, suggest that colonisation from the continent could be one possible explanation for this shift in lifestyle. Studies show that the first colonists are likely to have travelled across the western seaways but there has been very little excavation of the islands to prove this theory. Dr Duncan Garrow, from the University of Liverpool’s School of Archaeology, Classics and Egyptology, adds: “Archaeological findings, such as the bones of farm cattle from the fifth millennium BC and European pottery, and advances in radiocarbon techniques have given new life to the theory that European colonists settled in Britain and brought farming practices with them. To understand how possible this could have been, however, we need to turn our attention away from the mainland and towards the seas that form an important travel link between the islands around Britain. “We are excavating on the Channel Islands, Isles of Scilly and in the Outer Hebrides, which form part of an important maritime zone that surprisingly has been given little scholarly attention in the past. We are constructing a database of all known fifth and fourth millennium occupation sites in and around each island group and starting a programme of radiocarbon dating to understand the chronology of activity within the western seaways. The team’s findings will also be available to school children and the general public through the development of a series of web resources, including a navigation game on prehistoric seafaring.